A nostalgic abstract video animation set in a colorful world, this video loop is a nice fit for your retro music. A nice nostalgic animation for you to use in your shows. 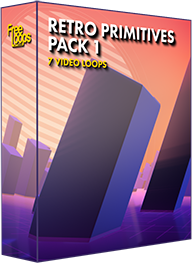 This video loop is part of Retro Primitives Pack 1.